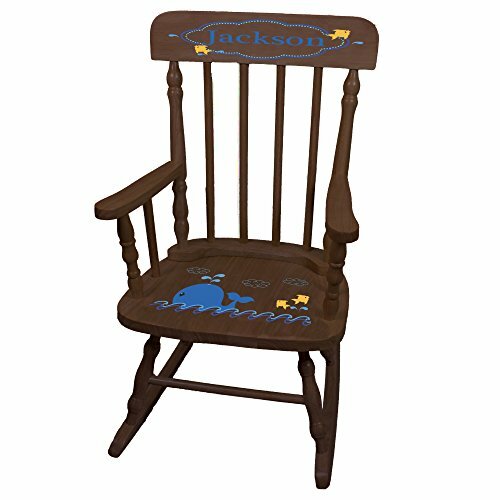 Our MyBambino personalized blue whale espresso childrens rocking chair makes a wonderful toddler or baby gift. Sturdy contruction and beatiful design come together to form a tradional staple of any child's nursery or room. Measures 28 1/5"H x 18"w x 23"d. Seat is 11 1/4" off floor. If you have any questions about this product by MyBambino, contact us by completing and submitting the form below. If you are looking for a specif part number, please include it with your message.